Summary : Thinking of buying this new and innovative e-cigarette? You might want to think again. Too plastic, too cheap, too un-refined... There were lots of things that rattled my cage about this one! Find out why I really didn't like it in the Vype ePen review! There seems to have been a lot of hype about the Vype ePen recently and I figured it was about time I made use of those great deals I keep telling you about and actually order one for myself. So I did. It arrived promptly and I ripped open the cool little plastic casing it comes in, and for once, I felt the need to dig around for the instructions. This isn’t your average, run of the mill e-cigarette. This was something brand new entirely! It neither looks like a conventional, regular cigarette, or any of the electronic cigarettes that I’d tried before and actually, I’d say this looks more like a bigger nicotine inhaler that would normally be used to help you quit smoking rather than an e-cig. You have the battery. Then you have the mouthpiece end. That’s not all though – there’s the liquid cartridges which screw onto the battery but go beneath the mouthpiece, and then there’s the black tip which you take off and then later replace with a silicone guard for hygiene reasons. I must admit, it took me a few minutes to piece it all together so I would highly recommend reading the instructions properly before diving right on in. With the starter kit, you get the Vype ePen itself, two cartridges, and a charger. The overall feel of the e-cig itself is quite nice. The black one that I ordered had a nice matte black finish to it and was very smooth to touch. It is much longer than it looked on the TV commercials – if you’re looking for something small and discreet, this probably isn’t the one for you. You can pick from a few colours which is something at least – black, white, red, purple or blue. You’ll apparently get 720 puffs out of a full battery charge on the lowest setting (there are two settings – high voltage and low voltage) but I don’t believe that for a moment. The battery on this is far too small to go as long as 28 cigarettes (if you assume the average cigarette is 20-25 puffs). If you go by what the website states, you’ll be using this for a day and a half if you are a 20-a-day smoker, but I find it very hard to believe the e-cig will last half of that. As I’ve mentioned, the Vype ePen offers a variable voltage battery with just two settings – high and low. That’s all very good and well but nowhere on the website does it state what size the battery is, or what either of the two voltages actually are. If you wanted to progress further after making this your first e-cigarette, you’ll have a hard time as you will have had no idea what you have actually been using! Oh and it doesn’t look like you can order replacement batteries for the Vype ePen either so if yours conks out, it would mean buying a brand new starter kit. Things, so far, have not gone very well in this Vype ePen review, have they? I got two tobacco flavoured cartridges in my Vype ePen starter kit, and what bizarre little cartridges they are indeed! To be fair, they have an advantage over the other regular two-piece designs as offered by the likes of Smoko and BLU Cigs – with the Vype you can see how much liquid is left in the cartridge, and there’s no filler fluff to burn out. The disadvantage of this no-leak system they keep boasting about is that you CANNOT refill your own cartridges so constant use of this e-cig is going to start getting very costly indeed. Again, I didn’t use the ePen long enough for the cartridges to burn out, but I did try to pull it apart to see if it could be refilled to no avail. Two cartridges are said to give you 720 puffs, so one cartridge (or so the website states) is meant to be good for about 360 puffs and once again, I reckon this is probably a bit optimistic. At £7.99 for three cartridges, available in just three flavours (or a variety pack) – Blended Tobacco, Crips Mint or Dark Cherry, things are going to start getting mighty expensive, especially if you consider that with most two-piece designs, you’ll be using between one and two cartridges per day… It would actually work out cheaper to smoke regular cigarettes! Plus, unless you’re a fan of those three flavours, things are going to start getting very boring indeed. I know they are a relatively new company with a relatively new e-cig, but you’d have thought they would have come up with at least a few more flavours than that to keep things interesting, especially when you consider they are just small plastic cartridges filled with liquid, and there are a lot of different e-liquid flavours to pick from these days. When I did try the Blended Tobacco cartridge, the taste wasn’t that pleasant. It was a bit too raspy and harsh for my liking and if I had never smoked an e-cigarette before, I probably would have been a bit put-off by how ‘raspy’ the inhale was. There’s nothing smooth about it, nothing pleasant, and nothing that tobacco-like about it. Sadly, I can’t speak of the other flavours and nor would I want to. Once again, so far this Vype ePen review has been pretty disappointing. You have two different strength voltages on the Vype ePen and the higher one should have given you a harsher smoke, while the lesser strength one gave you a smoother, more discreet smoke. Neither Dan or myself could notice any difference between the two. With most variable voltage batteries (such as the Jac Vapour 510 Twist which has become my new favourite) you can tell the difference between the voltages very easily. Lower strength ones won’t give you as much throat hit or vapour, with the higher strength ones going the other way. This, as variable voltage batteries go, was pretty damn disappointing and I couldn’t really understand the need for the two options if you couldn’t tell the difference anyway. The throat hit wasn’t nice. It was too raspy, too dry, too uncomfortable to smoke. I was a regular 20-25 a day smoker before, and I like a nice strong e-cig hit now, but the Vype ePen was too much for me. It’s almost like things haven’t quite been refined enough yet. Maybe in a couple of years with some more new technology they’ll get it right but for now, I wasn’t happy. I wouldn’t bother with their customer services mostly because I won’t be using the e-cig long enough to find fault with it. Within the first ten to fifteen puffs I had already gathered as much information I needed to decide whether or not I’d like it, and as you can probably tell from this Vype ePen review – I didn’t. At the moment, there’s a promotion running on the Vype website so you’ll get FREE DELIVERY on the Vype ePen Starter Kit meaning that’s all you pay – £11.24 for the whole kit. To be fair, that’s not a bad price especially if you’re a fan of the product which so many people are. Although I’m not the only person who doesn’t like this e-cig, there are a lot of followers and if you take a peek at the comments below, you’ll get a good idea for what people think and are saying about it. Is The Vype ePen The Best E-Cigarette? Firstly, it’s too plastic and too cheap. It feels nice but it’s too bulky and big. It’s bigger than the Vapouriz Fuse and Jac Vapour 510 Twist that I’d been using, and I find them not only easier to hold, but also more comfortable. Secondly, it’s not nice to smoke. It’s too harsh, there’s no real flavour, there’s no distinction between the two voltages, and you can’t refill your cartridges so things are going to get mighty expensive. If you’ve got loads of money, this gimmick might be worth it, but if you’re looking for something that will stop you smoking regular cigarettes, this probably isn’t the right e-cigarette for you. Thirdly, it reminded Dan of a thermometer and now he’s said that, it kind of reminds me of one too. It doesn’t look right – it doesn’t look like something you would put in your mouth and inhale on, and above that, it tastes of plastic. Every puff I’ve taken has this weird plastic, non-tobacco like taste to it, and I genuinely don’t see the point. If you want something that you will actually use long-term, don’t waste your hard earned cash on this piece of crap! The Vapouriz Fuse is the same price and so far, I’ve been using that one for about six months. I’ve had to replace the coils about three or four times during that period, and I’m still using all the same batteries (minus one that I lost). If you have a £20 budget for your next or first e-cig, don’t pay out for the Vype ePen, it’s really not worth it. Go for the Vapouriz Fuse and if you have a bit more cash to spare, I’d highly recommend going for the Jac Vapour 510 Twist with the variable voltage battery you will actually be able to tell the difference with. Sorry Vype, I’m only going to give the ePen just one star out of five and I’ll be honest, I had a really hard time coming up with enough reasons to give it that one. It’s not bad for someone like your Nan (that doesn’t know any better) but that’s about it. I wouldn’t recommend it to anyone starting out with e-cigs because it’s unlike any other e-cig I’ve ever tried, plus it’s just not a viable option for the long term. I’m actually quite annoyed I wasted my money on it. If you want to buy and try the Vype ePen for yourself, you’ll find it here. HONESTY POLICY: I purchased the Vype ePen myself. It was not sent to me for review. I was not paid for my review, and I will not be paid for my review. All opinions are mine, and in no way influenced by the brand / manufacturer. I have to disagree really with the article. I think the draw from the pen is satisfying, and the quality of the liquid is a cut above most liquids. The mint flavour is to me very similar to consulate. A big plus is that there is no issue with leaks from the device thanks to the cartridge system.I like the feel of the matt black pen. The only minus is that battery doesn’t last too long between charges. Altogether though, four stars. I started with the Elite ecig about 9 months ago, but was always having issues with the batteries and was not impressed with the amount of vapour produced. So about 8 months ago I purchased a Epen by Vype. I liked it from the first instance, giving me a better hit and cheaper to operate. Vype brought out new flavours recently and I am now on their golden tobacco flavour and will stick to that as it is a very enjoyable experience. So I must refute the 1 verdict given. Each to their own. Well worth a try. Next time you leave a review try to inject a bit more professionalism into it. You are repetitive and childish with too much personalisation in a lot of your copy. However the structure is there and the information you have provided on product performance is good. It’s obviously a popular product and the associated advertising is trying to move away from the home brew feel of the vaping mainstay. They seem to be doing ok. Not for me, I’m with you. But some people can’t be arsed with the perceived faff of DIY vaping, so if it works for them then that’s just fine. Also it’s vaping – not smoking! I had tried so many brands, and given friends so much advice, I figured I should start writing it down. Designed for people that don’t fully understand vaping, or maybe are giving vaping a chance for the first time, ‘childish’ and unprofessional was how I learned, so I’m sharing my tips with others. 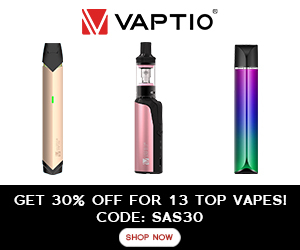 I apologise if you didn’t enjoy the feel of the website, but there are other professional vape review sites out there if that’s what you’re looking for. As you can see, mine is more focused on HOW the e-cigarettes and vaping devices actually work (and if they even work in the first place) with my own photos, and even my own videos. These are GENUINE and HONEST reviews, so I apologise if you found them repetitive. It’s just how I found using them 🙂 I have noticed that the more ‘professional’ websites seem to lack this personalisation, and therefore I found them hard to believe. I hope this answers your queries / concerns, but as always, if you have any other comments you would like to add, or any questions, I would be happy to give you a hand. Firstly you nearly put me of ordering more refils ! I have been using this e-pen for about 2 months and I have to say it’s brilliant. I don’t feel like I have a fag in my hand compared to the likes of Sky blu which I used when I first stopped smoking 3 years ago (was just sky then). It is very much each to their own hence why the market is now worth billions worldwide (tempted to open my own shop). I do however like hearing your personal views on the matter, although I have not tried your mentioned favourite. Lastly 20 something year old girl, that can only mean your approaching 30 and it’s hurting !!!!! Hahahaha I definitely don’t want to put you off! I guess the Vype is a personal choice thing – it wasn’t for me! I also first quit smoking using Sky Cigs (or Blu Cigs – whatever they’re calling themselves these days), and every now and again, I don’t mind going back to the old cigalikes. I prefer Neo Cigs or Smoko these days though! And yes, turning 30 and it is hurting! Haha! Thanks for your comment and remember, you can always get in touch on Twitter & Facebook! Just purchased this on Monday and so far I got to say its going well. I have tried the electronic Cigarettes perviously but found they made me cough alot. I like the design and feel of the pen, so far it has not needed recharging and I still have a quarter of liquid left in the capsule. I am not 100% on the taste it leaves in my mouth but chewing gum sorts that out. Nearly 48 hours in and no cigarettes, when I do get the urge I puss on the pen and it satisfies my need to light up a fag. Well after nearly 40 years of smoking, this could be the end for me. I’m now using one of these and feel pretty happy with it. Some of your comments do make me giggle. Harsh and rubbish flavours ,I think what some people seem to forget is that these item’s were set out to help smokers quit. Cigs are harsh ,smelly and bloody expensive. So for me and people like me ,it’s a pretty good replacement. I feel maybe people who complain because they are “professional vapours” and this isn’t good enough, should in fact state what they’ve been doing with the e products . If you want to blow flavoured vapour as some sort of fashion statement then this may not be any good. If your trying to quit smoking then it could be a good beginners tool. Oh, definitely not a professional vaper by any means!! I definitely wouldn’t want to come across like that haha! I’m so glad you finally made the switch and started vaping – it doesn’t matter what device you use, as long as you find one that is safe and works well for you! I hope you do manage to find an ecig that you get on better with. Let me know if you do – I’d love to hear which one you end up using. Have a great holiday too! I hope you’re going somewhere hot & sunny! This is my 2nd post to actually say the Vype epen is actually brilliant…My 1st post mysteriously did not appear so I therefore cannot recommend this site as being genuine….Somehow whoever you are you have made it to the top of Google search… Congrats… Lmao…. Why are you so affronted Keith? Throwing around conspiracy theories at the author who has bothered to share this review seems a bit odd in itself. Also the fact that she has posted all other challenges to her comment and responded kindly to them seems a trifle unfair by you. If you really did post a comment that didn’t show up, why not just repost those comments? The fact that there is no substance or context of what you think makes the Vype so ‘brilliant’ is suspicious in itself. The author has however contextualised and substantiated all of her comments is to her credit. BAT can whistle if they think I want to fund their business. Though I guess if everyone thought that, you would be out of a job? Interesting number of defensive critique on here defending the Vype. More than I would normally see on blogs and forums. Any BAT employees or marketing guys commenting on here by any chance??? Good review. For me, fundamentally, the point is about how expensive a Vype would be and quite how opaque lots of information seems to be on the product and liquid is. When Vaping can by so cheap once an epen is purchased and can be topped up with a range of liquid flavours and nicotine strengths by anyone with half a brain, why on earth would anyone lock themselves into this? Makes no sense even if you liked the flavours. Luckily Vype have released a lot of information about what goes into their eliquids etc. so they are leading the way (almost) for being more upfront with the information. You definitely need to consider that environmental impact too! The batteries can be recycled and with some digging I’ve found that there are a few brands that offer a ‘recycling’ option of sorts. Not enough of course! BAT claims that research on this product involved hundreds of scientists and vapers, my guess is that after they developed this “new” vaping solution they were unleashed on blogs/forums to push it up. I’m not sure why everyone is so anti the vype epen… It doesn’t taste as bed or as plastic as you are making out… The battery lasts for days as do the cartridges and they vape well. Maybe I’m too new to this vaping world and I’m missing something way better out there to stop me from reaching for a box of fags. But it’s worked for me for 9 weeks, 5 days and counting! Yes I am missing a cheeky smoke but a few long tugs on my epen quench that urge nicely! No leakage either. I’m sure others are better but this one is cheap easy and easy to live with and does the trick for me. I could not agree more – vype are awful. They have just released another product – the “etank” what a pile of crap that is. Constant burnt / foul taste, just 2ml capacity, battery life is awful, and gunk builds up / collects on the top of the battery and the charger. Total rubbish. Funy because with all of the money that BAT are injecting into the vyoe brand, you would think they could do a better job – but nope! Just look at how much more innovative the Chinese manufacturers are – aspire, kanger, eleaf, joyetech (to name but a few), they bring out improved models almost every month – constantly improving and refining the design of their products based on their user feedback. And what do we get? Crap like this. I have complained to vype many times, I even offered to do a review of the etank for them, they said that is “not something they offer at this time” – I mean WTF? They don’t “offer” to let their customers review their products? Then they shouldn’t be in business at all. I have been a heavy smoker for 40 years . I have ben amazed that the Vpe is so easy to use- and I can honestly say that I have not had any cravings in first 3 days of being smoke free . The tobacco taste is authentic , there is a marked difference between the 2 vapour settings , easy to set up and the battery lasts much longer than I expected . As for cost of refills , they are nowhere near the cost of cigarettes so I am quite satisfied and I will continue to use Vype . Hated the vype. I was using the dreadful 10 Motives, but presumed I was upgrading to a much better vaping experience when purchasing the Vype. What I got instead was a bloody 10 Motives taste again, in disguise as a black plastic cigar shaped thingy. Plastic taste, scratchy throat hit, it was essentially akin to slowly burning a plastic carton and inhaling. Pleased to say that I have now taken delivery of a Vapouriz sub tank, and am currently recreating Late nineteenth Century London fog with the amount of vapour I’m producing. This website is indeed very useful. Thank you. Glad you’re happy with your new purchase, and once again, thanks so much for letting me know you found the reviews useful. As always, if you’ve ever got any questions or comments, feel free to pop back and let me know. Totally agree!!!! Disgusting taste and although cheaper than cigs the cartrdges should be refillable, definatley wont bother with vype pens anymore. I think this is the worst “review” I’ve ever read in my life. You didn’t try how long the battery lasts, you didn’t try how long the capsule last and you are ranting over completely useless crap and things that are completely subjective. I smoked 3-6 cig/day and I was very surprised how nicely this model replaced my need for them. I find the vape quite strong and I feel the difference between 2 settings. Anyway, this review is not crap because I disagree with you, it’s because it almost doesn’t have any value. I don’t have an issue with the review – I think a lot of it’s subjective anyway. Personally, I’ve quite enjoyed the ePen. But what I want to add is how awful Vype customer service is. Having stopped smoking about two weeks ago and being really busy with work I haven’t had time to restock on cartridges at a shop in my local town (hour and a bit round trip). I ordered some refills direct from their website (govype.com) on Monday and, after paying an exorbitant amount on postage, they still haven”t been dispatched a week later. In this day and age, it really shouldn’t be that hard to send an order out same day / next day after receiving a web order. And no response from the ticket I raised querying it. Big negative for me as I live out in the sticks and rely on internet shopping probably a bit more than most. Yep, there are probably other internet sites I could use to buy the cartridges but it’s just put me off the company / brand a bit. Hi David, and thanks so much for your comment! I’m so sorry that you’ve had that experience with Vype! Have you tried giving them a call? I had a problem with the Vype eBox when it first arrived and when I called their customer care department, they put me through to the right people and had the problem solved within about three or four minutes. I’m pretty sure the number I called was 0800 133 7350 if that helps? You could also try their Twitter page. They’re normally pretty quick to get back to me on that whenever I’ve tweeted them – @govype. I’ll give that number a go if I haven’t heard from them early next week. Broke my tank on my arc curve at gatwick airport on my way to Spain . The only vapour available to me in the departure lounge was a vype in boots the chemist ( they need a vap shop at gatwick ). This contraption is rubbish . The hit was non existent and the battery just ran out with no warning. Here in Spain they are not big on vaps and so trying to find one is not easy at all . I threw the vype away after finding a more traditional e-cig eventually. This is also crap but will do until I get home and order a new tank. I will never buy a vype again. If anyone wants to set up a vap shop at gatwick airport you will make alot of money …..
2 cartridges a day lol!! I don’t think so that would equate to 90 fags a day…or if we sleep for say 8 hours thats one fag every 12 mins lol. Also it says in the article that the average fag gives 25 puffs , Wrong again, more like 7/8 puffs not sure this person has ever smoked before. 3 cartridges will last 7 days which is the same as nearly 20 a day smoker. so that is £7.99 a week which is a lot cheaper than smoking 20 fags a day,, its ok to have an opinion but get your facts right first. Thanks so much for your comment. I am an ex-smoker. I smoked from the age of 14 until I reached my mid-twenties and then gave up using e-cigs. I actually did a little experiment on this as I didn’t believe the puff count per cigarette was quite that high, but in a work environment where 6 or 7 of us smoked, the average puff count per cigarette was indeed between 12 and 20. Obviously, longer cigarettes required more puffs. One person was also smoking a roll-up. Also: I *did not* use the Vype ePen for long enough to run out an entire cap because I didn’t like the taste or the way it vaped, but a regular vaper did use it, and it has since been used by a smoker who hadn’t tried vaping before. The regular vaper didn’t like it, but the smoker / new vaper did. However, *both* stated that they didn’t get anywhere near the suggested amount of puffs per cap. Two caps were said to give you 720 puffs (according to the website), so 360 puffs per cartridge. Even going by a mid-way point of puffs per cigarette – 10 puffs – that’s still only 36 cigarettes, and that’s best case scenario too – going by the cartridge actually giving you 360 puffs each. That means 3 cartridges probably wouldn’t do the average smoker turning to vaping a week if they smoked 20 a day. Also, in my experience, new vapers (who have recently quit smoking) tend to rely on their vaporisers a lot more at first. That was definitely the case for me, and I quit using quite a high dosage too – 24mg cartridges or liquid! If that is the case, the 3 cartridges wouldn’t be enough again. I smoke around 10-15 cigarettes a day and recently got the opportunity to trial one of these epens, so I found your review whilst trying to find somewhere that sells the cartridges. While I’m okay with you not liking it, I was a bit disappointed you didn’t cover things like battery life or how long the cartridges last, so I’d like to fill in these blanks. Over the course of a week, I’ve recharged the device three times, each time when the red light came on. It was still usable at this point, so I didn’t recharge from flat, but each time it was around an hour before the LED turned to a steady green. So not too bad. I’ve also found it takes me just over a day to consume a cartridge which, given my previous cigarette consumption, doesn’t work out too badly: my favoured brand currently sells at £10.59 a packet (this is the cheapest, I’ve seen them at over twelve quid in some places) and over a week I’d need between 4 and 5 packs, which is £40 – £50 a week. On current consumption of the cartridges, I’d be going through six a week, which is two packs at £8 a pop. Let’s say I need seven, so every third week I’d need to get an extra pack, but either way I’d be looking at £16-£20 a week, which is at least half of what I was spending. And, if I’m honest, I’m probably using the epen more than I’d actually smoke cigs, so if I were more sensible about it, it would be even cheaper. I like the cartridge system as it means I can change flavours long before the current cartridge runs out, although on the flip side of that, I’ve spent the larger part of the last three decades smoking the same brand which, leaf variations aside, tastes pretty much the same all the time. I’m not so sure I could be bothered with the faff of refilling a tank in order to save a couple of quid. Overall, it’s served me well this week. I’ve managed to avoid smoking altogether, which can’t be a bad thing, and as I’ve not tried anything else and this seems to be working, I’m happy enough for now. I might look to upgrade at some point in the future, but I’ll see how things pan out for now. vat when you get to checkout bumps up the cost considerably !!! I would buy more if not so pricey . Got a question. When the fluid empty and you don’t realise it’s empty until inhaling a strong plastic taste, is this not dangerous? Inhaling heated plastic. How many of you have done this? Great question! I’ve done this more times than I care to remember. I don’t imagine it’s very good for your health and, therefore, should be avoided. I guess it depends on the wick material? It’s the white, fluffy stuff/wick that ends up burning dry, right? Definitely something I’ll be looking at a little closer now though, thanks for the question! I do like the Vype epens, particularly the lack of leakage and the Strawberry Smash flavour, but I’ve got a bit hooked and, as I vape a lot, it’s getting darned expensive! Now seeking out a cheaper option.